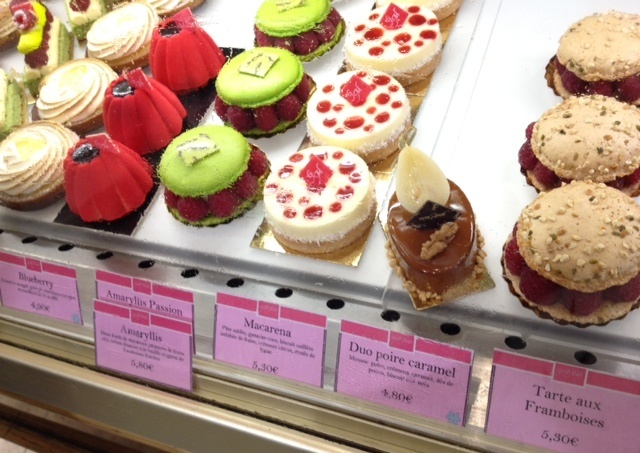 On my trip to Paris last month, I created a plan to bike throughout the city in search of the most delicious chocolate cakes, outstanding fruit tarts, contemporary takes on classic pastries, and other assorted sumptuous sweets. 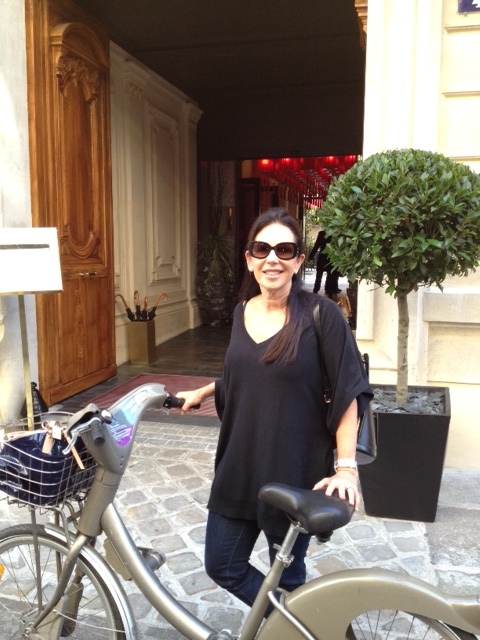 I made 24 stops over 7 days and wrangled my Parisian friend, Denise for 3 days of the journey. She was the one who recommended that we stop riding bikes, because finding parking for bikes was as hard as finding rental bikes that actually worked. Therefore, we walked in the 90 degree heat and took cabs instead. 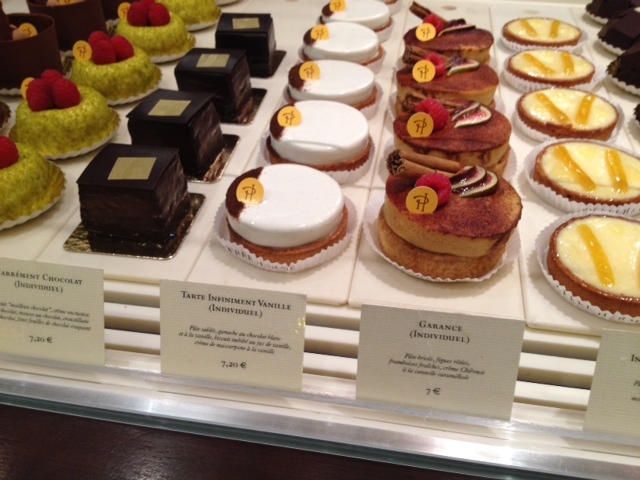 My pain is your gain, as I’m now happy to share with you my top picks of what Paris has to offer. 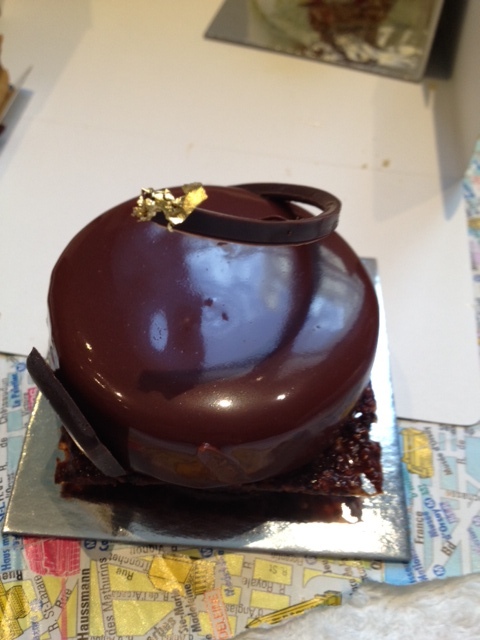 Call it a Parisian Chef’s Feed for Dessert Foodies and Chocoholics. 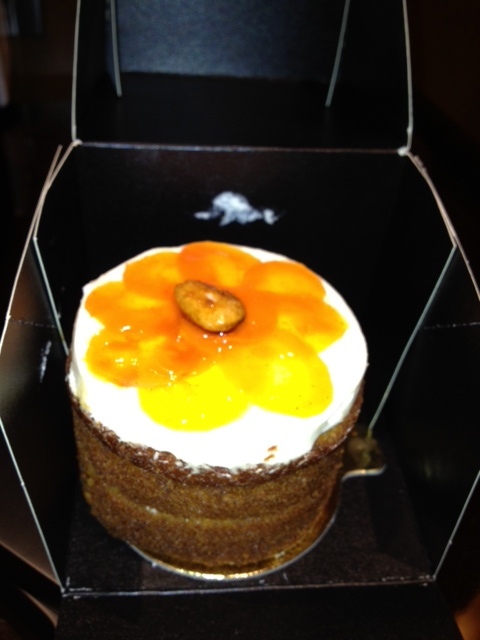 1) I couldn’t wait to get started, so without Denise on day one, my first stop was around the corner from my hotel at Bread and Roses for some of the best cheesecake and carrot cake that I have ever tasted. 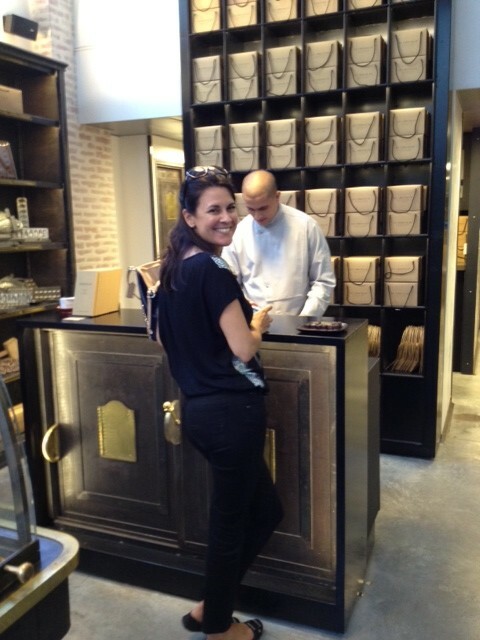 2) My second stop was at Ciel, which is the most adorable, little spot in St. Michel. 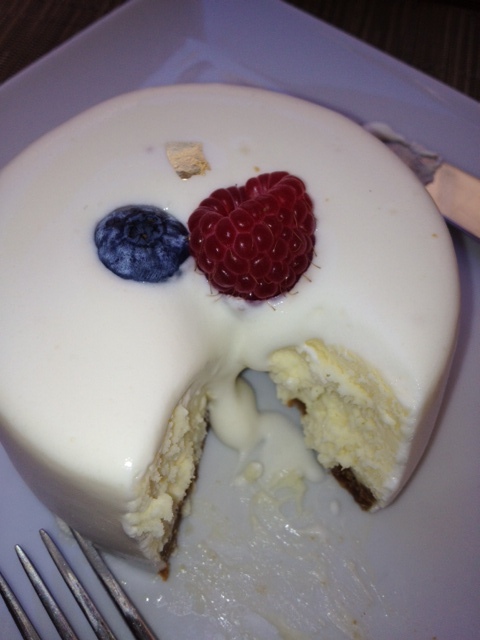 Here, I enjoyed heavenly angel food cakes with a Franco-Japanese spin. 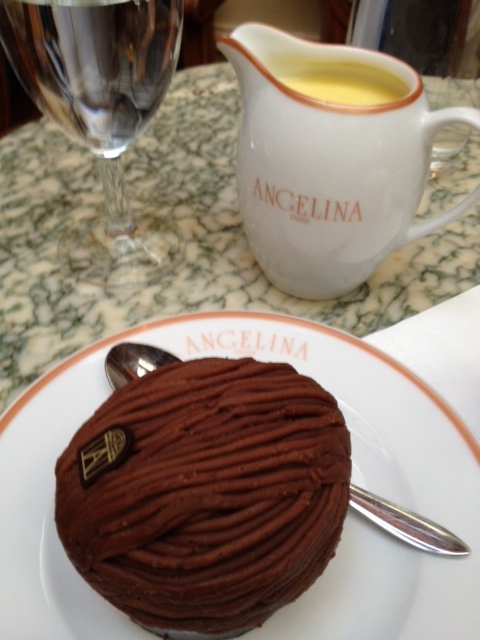 3) As I circled my way back to my neighborhood, I stopped in to the renowned salon de thé Angelina. 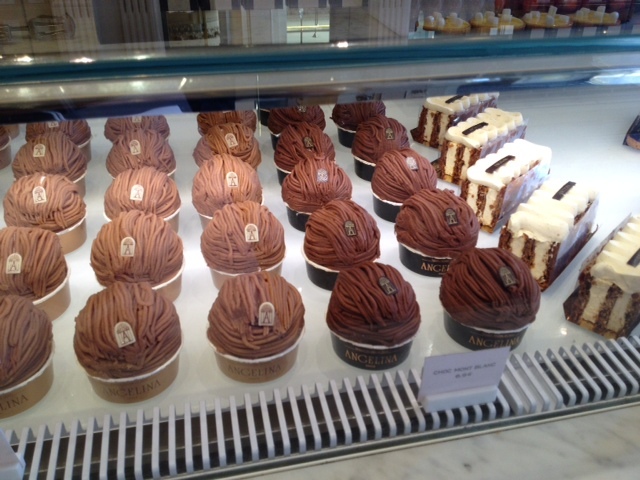 The famous Mont Blanc has been re-invented with a chocolate spin and was remarkable alongside their hot white chocolate. 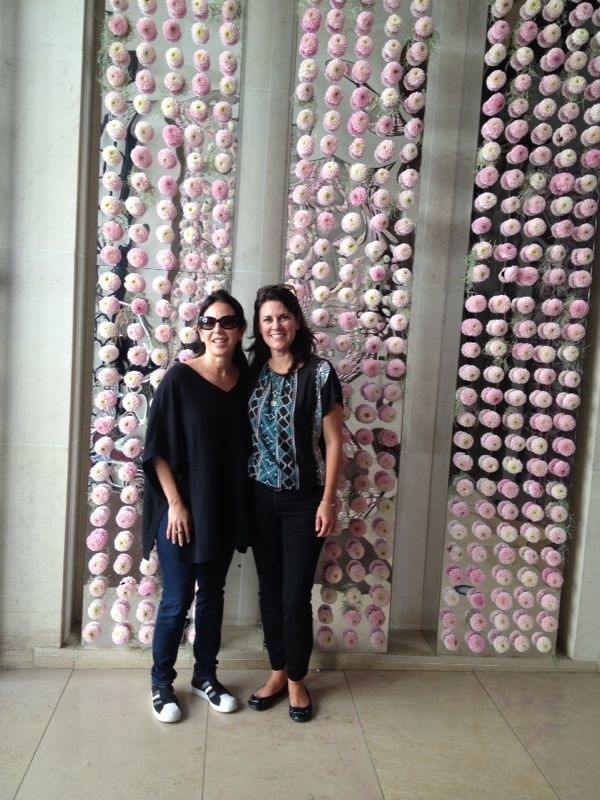 4) Denise joined me on day 2 at the Mandarin Oriental, where the desserts were jewels, but we were awe-struck by the stunning flower displays. 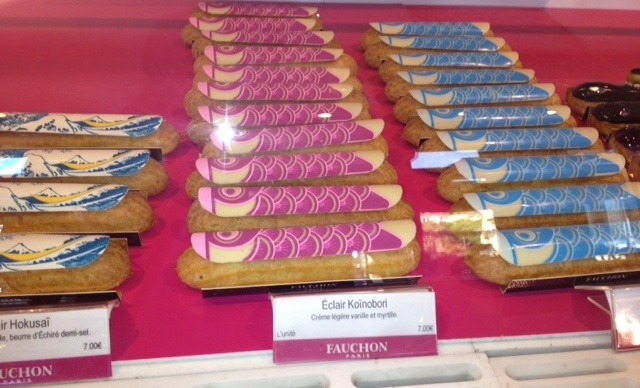 5) We headed out to Fauchon where they were celebrating Le Semaine des Éclairs. 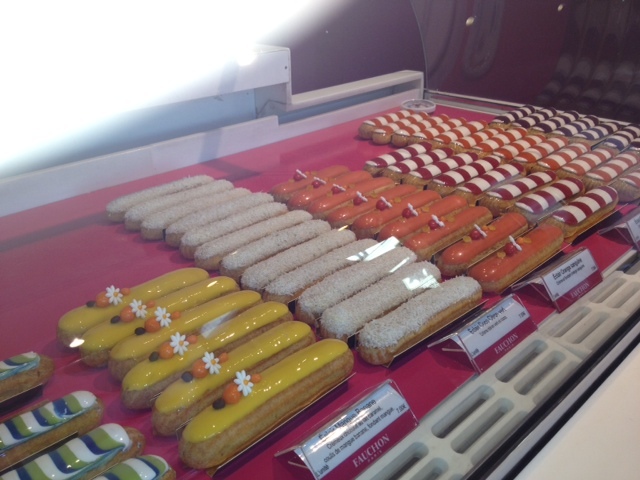 Showcase after showcase of sweet and savory spectacular éclairs. There were double decker chocolate, blueberry vanilla, salted butter, grape fruit, blood orange and Moroccan date among dozens more. 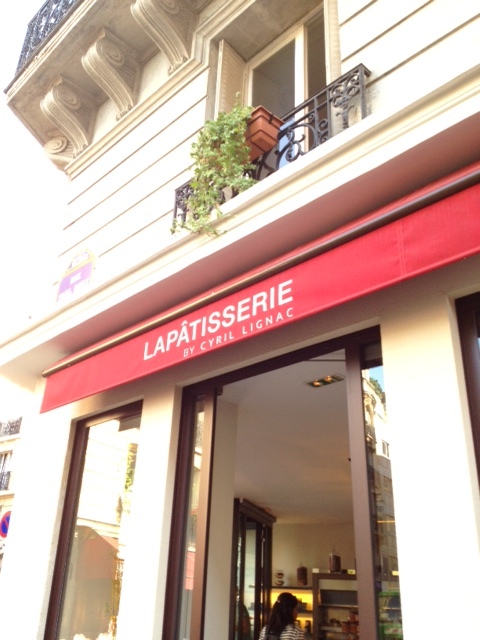 6) We quickly ran through Ladurée salon de thé where we ogled and grabbed a black currant macaron for the road. 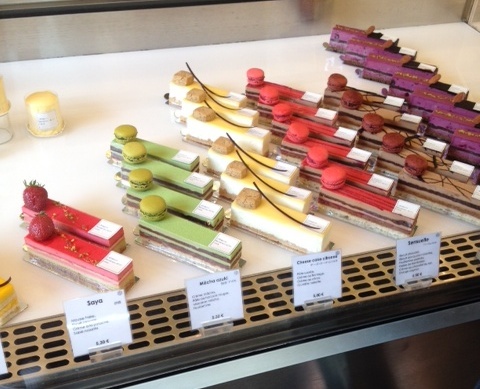 7) Our next stop was Jean-Paul Hévin where I had the best macaron of my life. I was too busy enjoying my chocolate and crème brulee macaron that I forgot to take a photo! 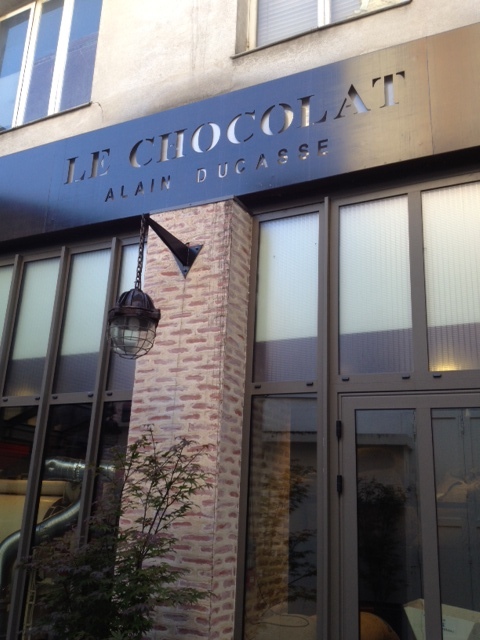 8) Last stop of the day was to the Holy Grail of all chocolate shops: Le Chocolat – Alain Ducasse. 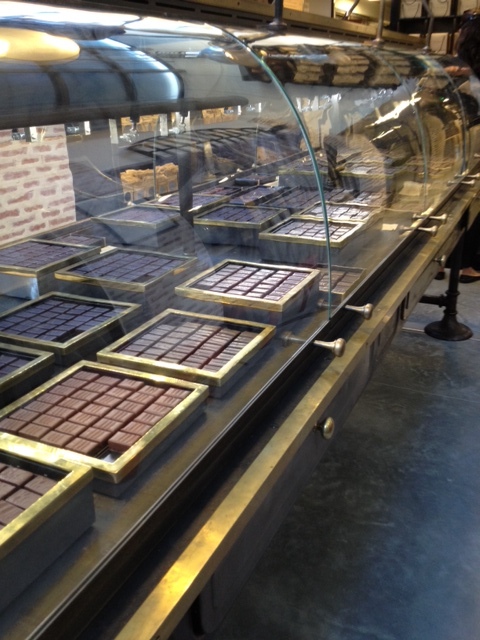 We indulged ourselves as any girl would amongst chocolate ganaches, pralines, truffles, and chocolate bars in 44 different flavors. 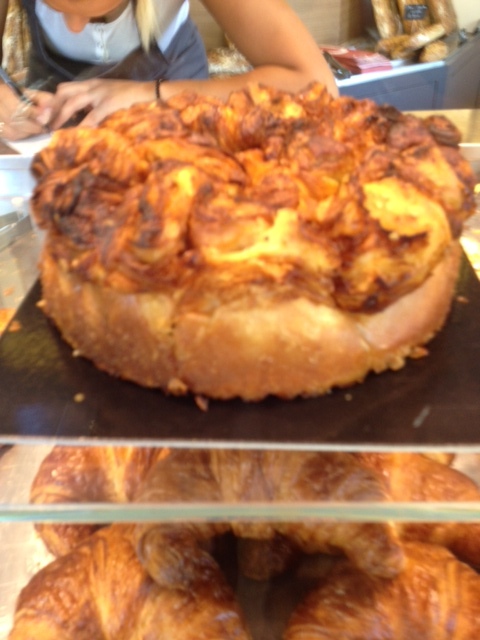 9) La Pâtisserie by Cyril Lignac is where I was stunned by the largest Kouing Aman (round crunchy caramelized cake made with bread dough and layers of butter and sugar folded in) that I have ever seen. This is my favorite of all-time. 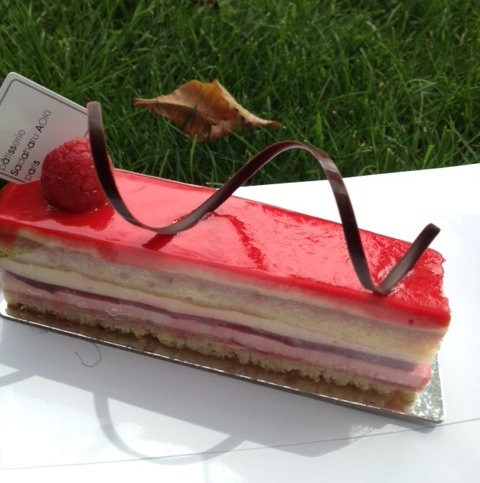 10) On my way to the Jardin de Luxembourg, I ducked into Sadaharu Aoki boutique where bright colors and Japanese flavors won my heart, especially this raspberry, strawberry and hibiscus cake. 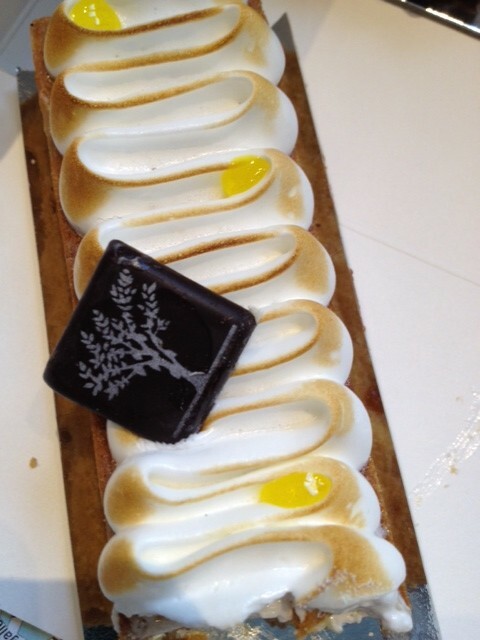 11) Pierre Hermé is the benchmark of excellence in pastry. The boutique is like a jewelry store and I did not hold back here. 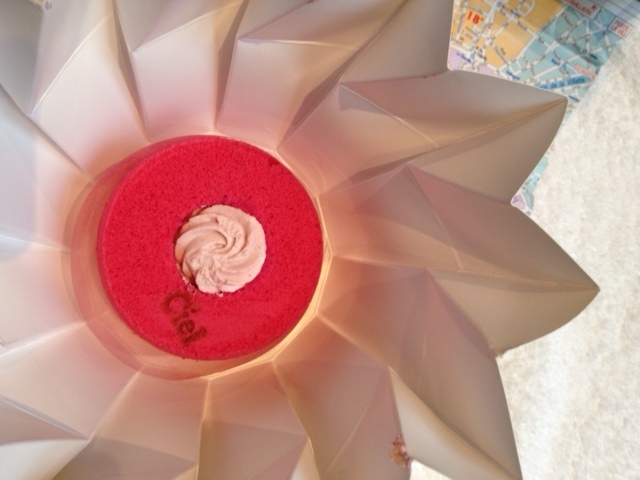 Infiniment Vanille, Ispahan Croissant, and Carrément Chocolat were among the few that came back to my hotel room. 12) Mulot is an institution in the 6th arrondisment not to be missed. 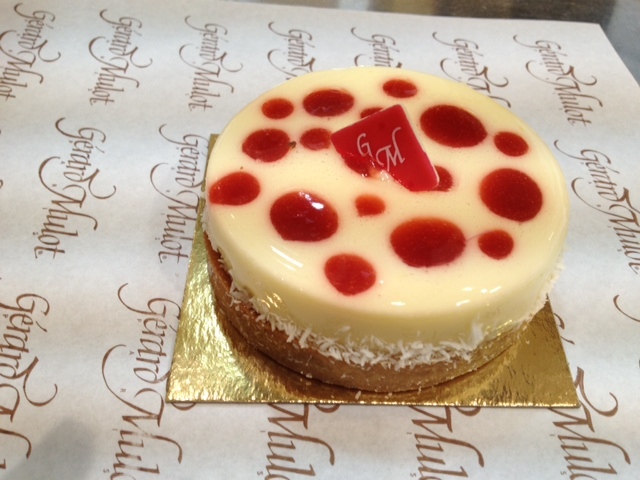 I had the most delicious cherry and coconut tart that I would go back for next time I’m in town. 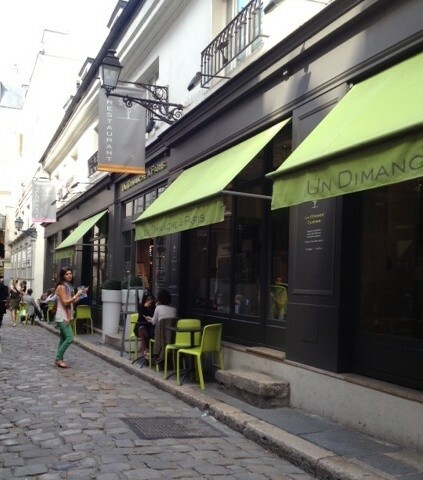 13) Un Dimanche á Paris is a beautiful pastry shop and restaurant near Odeon with gorgeous tarts, mousses, and goodies for gourmets in a sleek and contemporary setting. 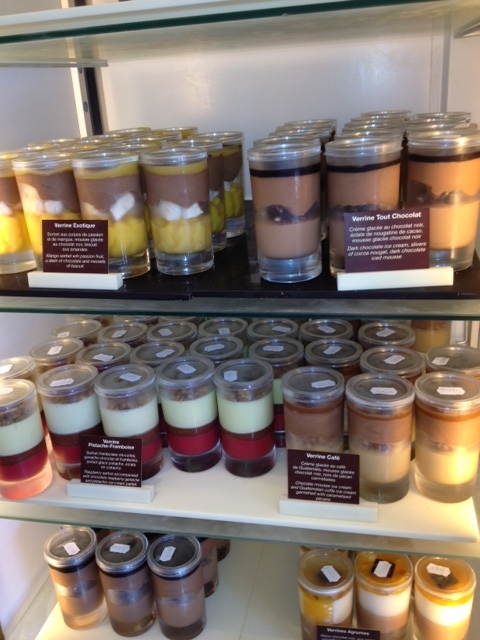 14) La Maison du Chocolat is a palace for chocoholics and during the heat of the summer, I was so excited to discover their ice cream verrine to go case. 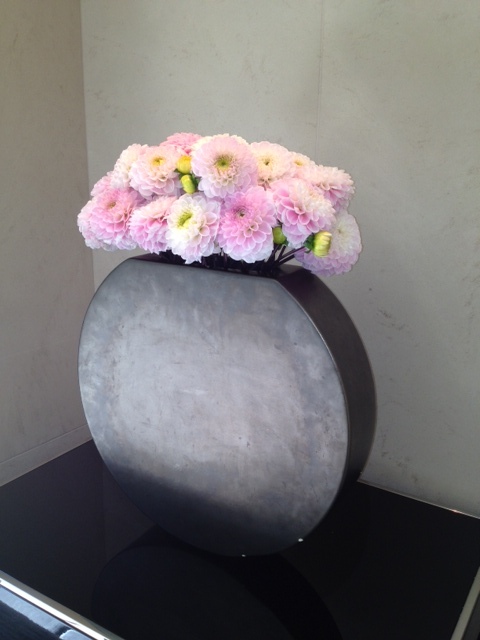 A verrine is a composition of alternating flavors, colors, and textures all showcased in small glass containers. I chose Verrine Tout Chocolat with layers of crunchy chocolate pralines, chocolate mousse, and chocolate ice cream. I skipped off towards the Champs Elysees with a spoon and a smile. 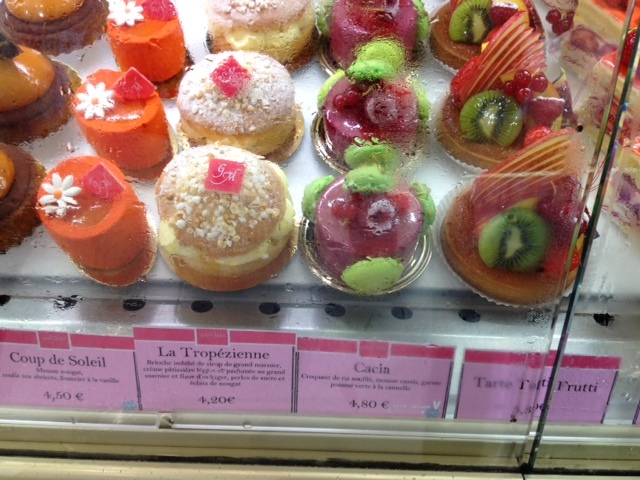 There is truly a dessert for everyone in the City of Love. This entry was posted in Uncategorized and tagged Bread and Roses, Ciel, Extraordinary Desserts, Fauchon, Jean-Paul Hevin, La Maison du Chocolat, La Patisserie Cyril Lignac, Laduree salon de the, Le Chocolat Alain Ducasse, Mont Blanc, Mulot, Paris, Pierre Herme, Sadaharu Aoki, Salon de the Angelina, Un Dimanche a Paris. Bookmark the permalink. Thank you Karen! You super charge my creative side! Spending time with you is magical and so much fun! 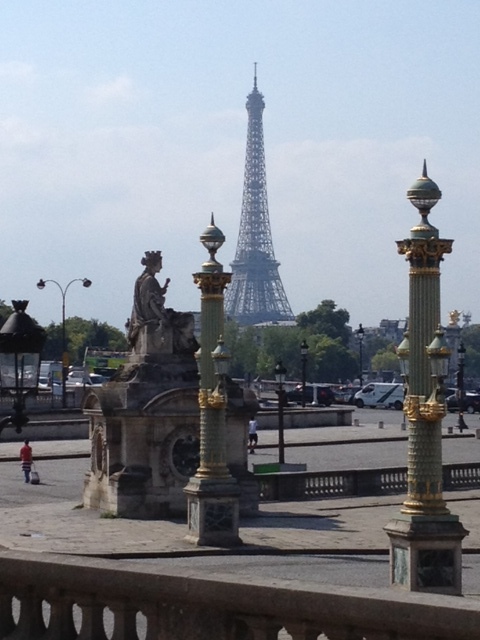 I love rediscovering Paris! Plus tasting all the goodies is a extra special treat! Love you !! 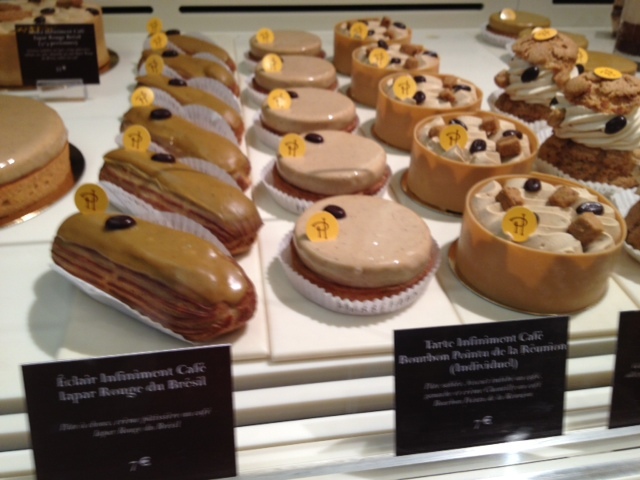 Reading about your “Cake Walk” in Paris was food for the soul! I will save your list of recommendations for a dream trip to Paris, France! I am a complete foodie, and without a doubt, your Extraordinary Desserts and the delicacies you have created there are unparalleled! I live in Seattle, and I would make a trip to San Diego just for one of your desserts! I long for you to open a shop here in Seattle! 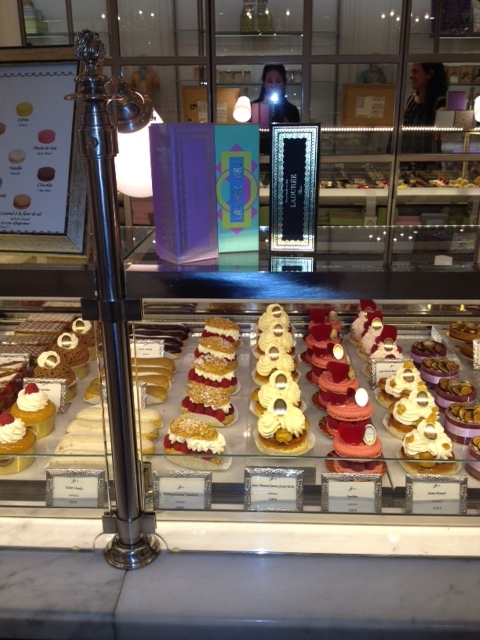 Amazing Cake Walk and the cakes oh my god I am drooling….